As the Federal Reserve starts exercising some atrophied muscles, traders will have to relearn their craft, too. 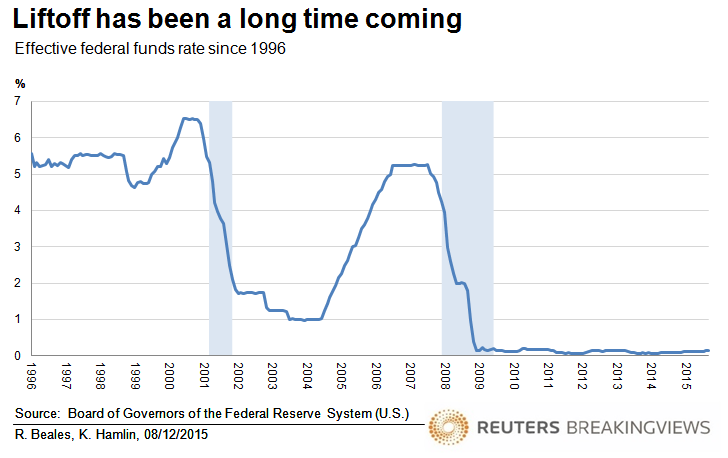 The U.S. central bank is getting used to the idea of lifting rates above zero for the first time in seven years. That will reinvigorate some old-school market gauges. People used to watch fed funds futures, Eurodollar derivatives and a clutch of traded measures of inflation like hawks (or doves). These indicators are due fresh attention – even if their meaning has morphed. The Fed guessing game will intensify as traders make bets on what Chair Janet Yellen and her colleagues will do at each of 2016’s eight monetary policy meetings. Fed funds futures, nowadays helpfully analyzed on the CME’s FedWatch web pages, provide a market-implied trajectory for overnight interest rates in the near term. There are wrinkles in the post-financial crisis world, though. For instance, if the Fed sticks to a range for the fed funds rate rather than a specific level – the official target for seven years has been between zero and 0.25 percent – it makes the meaning of futures prices fuzzier because calculating implied probabilities of Fed moves requires assumptions about exact target rates. More broadly, financial markets have changed since before the financial crisis. Banks must hold more capital and they face other regulatory constraints, while central bank balance sheets have expanded dramatically – the Fed’s has swollen to $4.5 trillion from under $1 trillion in early 2008. Such effects could create new distortions relating to inventory levels, market liquidity and trading norms. That’s even more significant for other tools like overnight indexed swap (OIS) rates and Eurodollar futures. Using Eurodollar futures, for instance, to glean the market’s view of the longer-term path of Fed policy involves estimating the so-called basis, or gap, between Libor and Fed funds rates. Pre-crisis rules of thumb may prove way off. Fed-watchers will also eventually need to track inflation again. Statistical estimates, even those aiming to exclude energy costs, could be suppressed by recent low oil and commodity prices. Financial measures, like breakeven rates on U.S. Treasury inflation-protected securities or TIPS, may suffer from the same post-crisis market distortions. Traditional navigational instruments may still point in the right directions, but traders feeling out how they now relate to each other could cause a few market fender benders in the year to come. 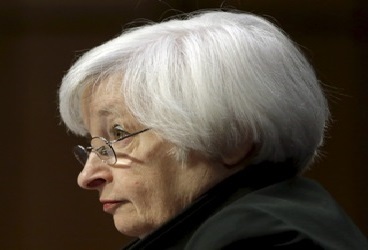 The U.S. Federal Reserve’s policy-setting committee is set to start a two-day meeting on Dec. 15. The market-implied probability of a quarter-point increase in the fed funds rate was 83 percent on Dec. 14, according the CME’s FedWatch website. The Federal Open Market Committee’s policy overnight interest rate has been pegged in the zero-to-0.25 percent band since December 2008. The FOMC’s statement is due at 2pm ET on Dec. 16, with a press conference by Fed Chair Janet Yellen at 2.30pm.